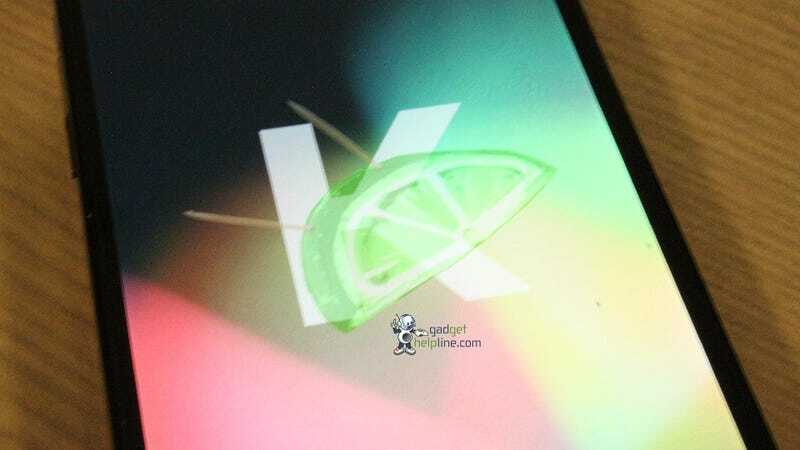 Android 4.4 Key Lime Pie Kit Kat is on the horizon, so it's no surprise that (possible) screenshots are (allegedly) leaking out. We've seen a few that boast a new, flat design, but now we're seeing hints that there's actually no big visual change in store. A series of maybe real screenshots from Gadget Helpline show a version of 4.4 that was apparently around before a deal with KitKat changed the version nickname, and their most notable quality is the lack of a visual shake-up. At a glance you could be forgiven for thinking these were shots of Jellybean. Most of the real changes seem to be under the hood, like options to save images as PDF, print with wireless printers, native wireless display integration (via Chromecast?!?!?! ), NFC payment settings, and some other options to give you more control over your wireless plan. The only things really worth looking at are a new gallery and camera app which, while improved, still aren't mind-blowing. Back when Key Lime Pie was further off in the distance, there was a lot of hope that it'd be a big, revelatory 5.0 release with a whole bunch of new glitter, but that's looking more and more unlikely. These screens could be fake, but they make sense; of course a point-release wouldn't have really insane changes. It's no surprise its improvements would be buried deep.